It’s feeling like true winter in the Northeast. A winter storm brought up to two feet of snowfall, sleet, and freezing rain on January 19-20. The storm caused flights to be cancelled, traffic accidents, power outages, and coastal flooding. 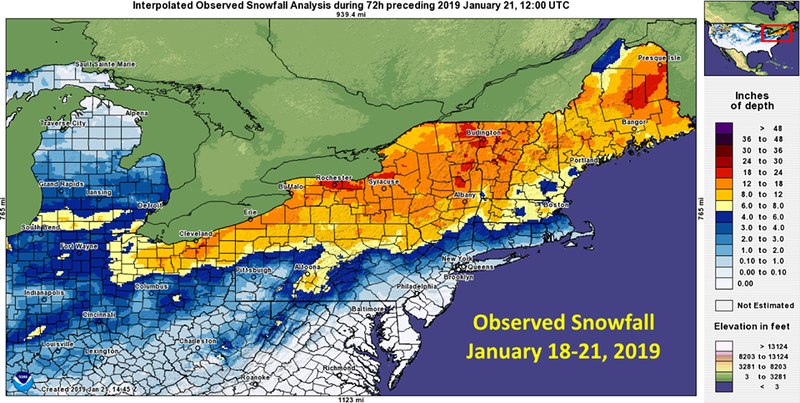 Snowfall analysis provided by the National Weather Service. Though the snowfall amounts weren’t record breaking, the snow and mixed precipitation caused many impacts to the region. On the heels of the storm was frigid air accompanied by winds that created dangerous wind chills and snow drifts. While the temperatures have been cold, it’s been much colder before! 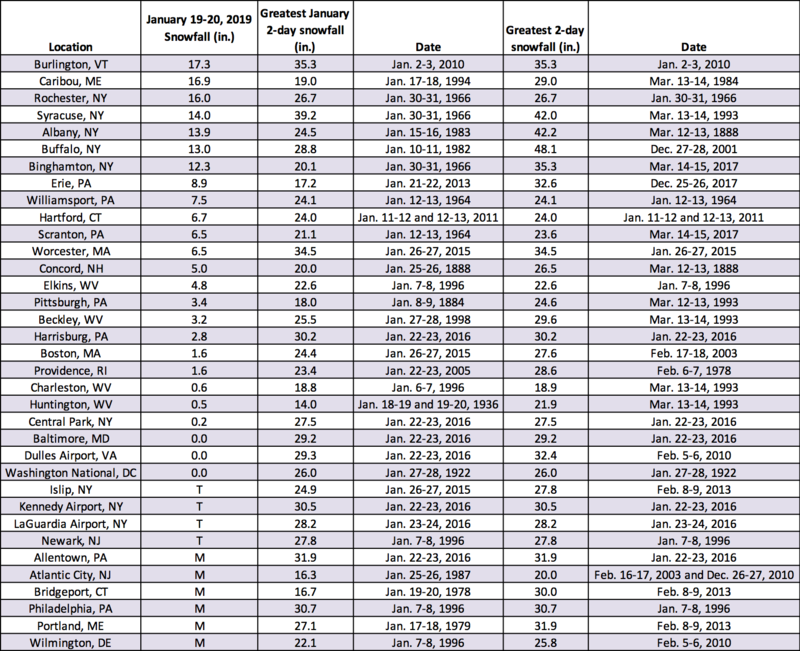 Caribou, ME has reached a low of -15°F this month, but their record for January is -37°F in 2009. 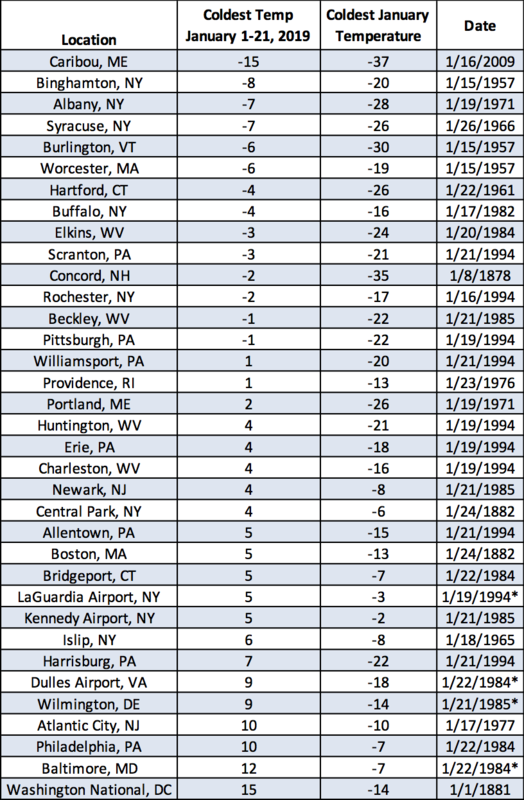 Cold, but not record-breaking temperatures so far this January.